One of the early cases of sexual harassment that I remember reading about is that of Phaneesh Murthy in 2002. When I joined Infosys in 2003 it was hot topic. 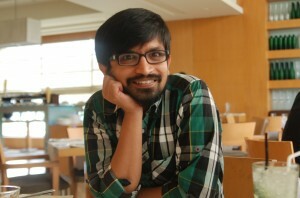 There were discussions about how Infosys fired him; unhappiness about the compensation Infosys had to pay etc. I was mostly disgusted by the fact that he got hired by iGate and how much of Infosys’s internal system had failed. A decade later he got sacked by the iGate for similar reasons. One word @Google – Shame. 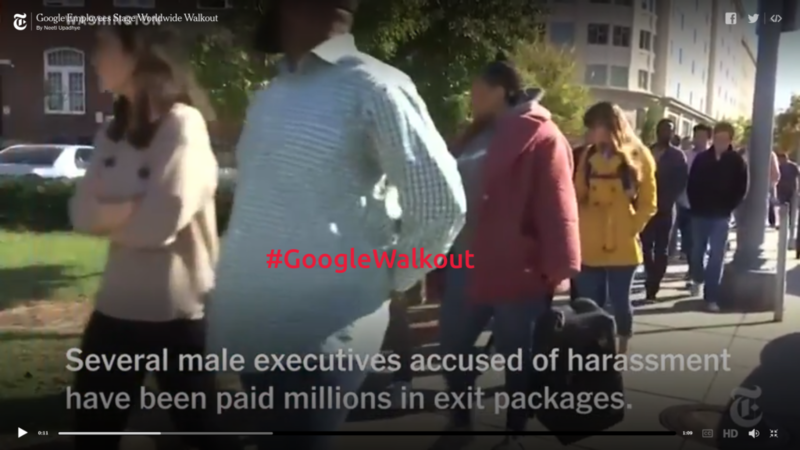 Screenfrab from Google Walkout: Employees Stage Protest Over Handling of Sexual Harassment Video. This November 1st, thousands of employees across the world walked off the job. It was a protest against how Google handled sexual misconduct claims. There were also demands from the employees. I thought the demands were fair. I thought Google’s response will be positive. I am naive or overly positive! Listen to the Kara Swisher talking to some of the protesters. It doesn’t give you any hope. Google Walkouts is a big thing. I am surprised something like this has not happened in US or Indian IT industry before. Its fairly common in other industries in India. I have seen garment workers protesting/demanding for their rights. I think Google Walkouts is a start. I think there will be more. It shows these shiny big tech/IT companies are just like any other average industry. Hence they should be treated like one. It’s time they lose the fan following and become accountable. For me Google Walkouts was an eye opener. Disclosure: All opinions expressed in this article are mine alone. I am a TVC. You can see all my associations here.